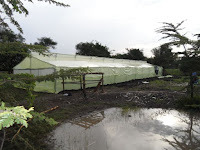 Get our greenhouses at affordable rates. We have Metallic and wooden type in different sizes. 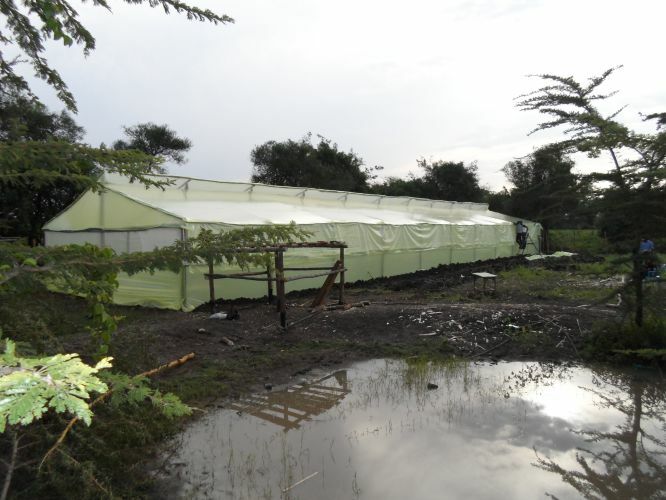 Our greenhouses are covered with 200 microns , 3 layer , u.v stabilized poly films that have a life span of 3-6 years. 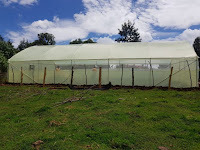 The greenhouses are high and allow free movement of air/ circulation within the greenhouse, this promote pollination and reduce fungal infection due to high amount of humidity. Greenhouse ventilation net are installed to allow free and clean air circulation within the greenhouses. Due to the air flow through the screen net the temperature within the poly house is managed for quality plant development. The screen net doesn't allow insect to come in. 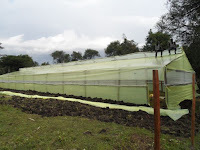 Get amazing deal with us and you will enjoy doing farming at affordable rates. Plant capacity: 1,000 tomato seedlings, 800 capsicum. Delivery: Two days after payment across the country (Kenya). Days to construct: 4-5 days after delivery under good climatic condition. 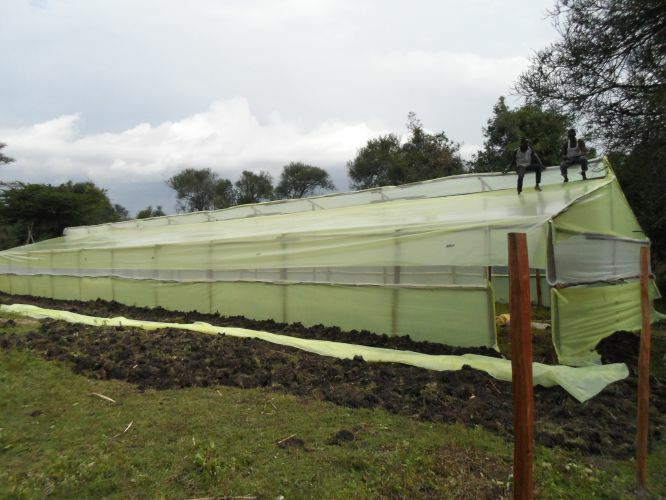 Greenhouse specifications: Greenhouse structure ( Prefabricated metallic frame, U.V stabilized polythene with lifespan of 3 years-6 years, 200 microns, color yellow or milky, bolted,w-wire and profile. 0.005 mm vent and screen net/ shade net 50% to 70%. Metallic tank stand, Crop support. 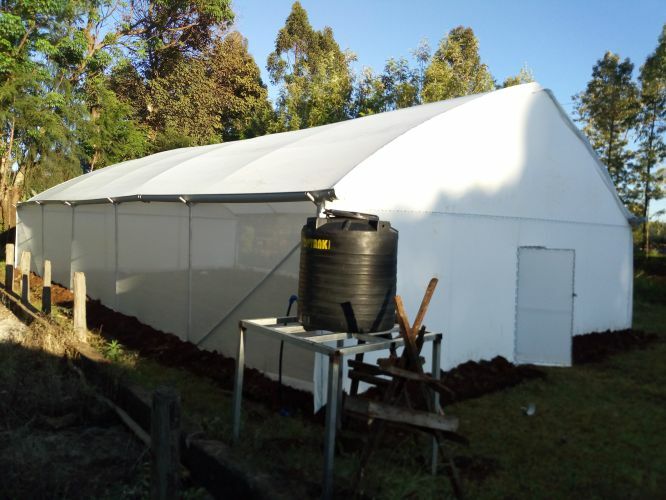 Client to provide: Sand and ballast 6 wheel barrows each, 2 bags of cement, 2 wooden Ladders and accommodation for technician and water connection to the greenhouse tank. 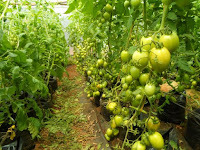 1,000 liters water tank is sufficient for 1000 greenhouse tomato plants for 4 days and the consumption increase during fruiting for enlargement of the fruits and during top dressing you are also required to add watering quantity so as the plant can absorbs the nutrients in their simple form. 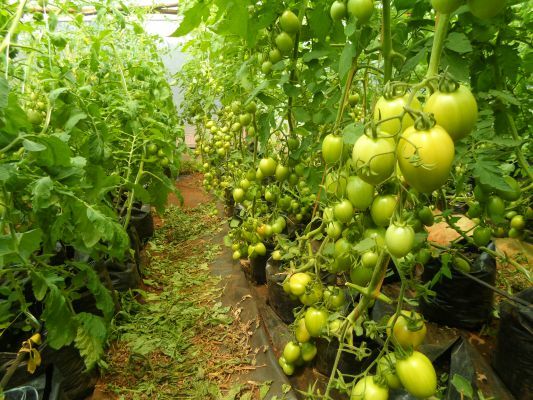 Plant capacity: 500 tomato seedlings, 400 capsicum. Days to construct: 2-3 days after delivery under good climatic condition. 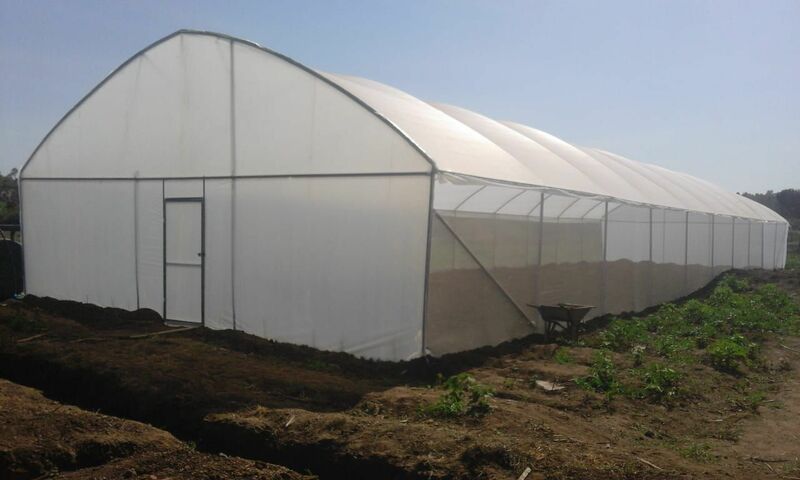 Greenhouse specifications: Greenhouse structure ( Prefabricated metallic frame, U.V stabilized polythene with lifespan of 3 years-6 years, 200 microns, color yellow or milky, bolted, W-wire and profile. 0.005 mm vent and screen net/ shade net 50% to 70%. Metallic tank stand, Crop support. Client to provide: Sand and ballast 3 wheel barrows each, 1 bags of cement, 2 wooden Ladders and accommodation for technician and water connection to the greenhouse tank. 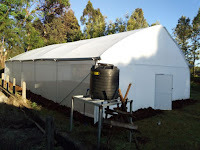 1,000 liter water tank is sufficient for 500 greenhouse tomato plants farming for 8 days and the consumption increase during fruiting for enlargement of the fruits and during top dressing you are also required to add watering quantity so as the plant can absorbs the nutrients in their simple form. Greenhouse specifications: Greenhouse structure ( Wooden frame/ round post and poles, Nails, wall pass timber preservative, U.V stabilized polythene with lifespan of 3 years-6 years, 200 microns, color yellow or milky, 0.005 mm vent and screen net/ shade net 50% to 70%. Wooden tank stand, Crop support. Client to provide: Sand and ballast 6 wheel barrows each, 2 bags of cement, accommodation for technician and water connection to the greenhouse tank. NB: All these cost shift when transport and other factors are considered.